Often known by their shorter name, 230 FIFTH this new hotspot on the roof of a massive Manhattan building has an incredible design for their outdoor bar. They bring the best of the indoors and outdoors into one place with a unique bubble device that was originally used for camping. However in this establishment they use them to provide a climate-controlled area that gives you the field of view you have when outside along with the comfort of being inside. If you have the money you could create a similar situation, but you could also do it on a lesser budget by learning some lessons. Nature is of course incredibly important for the entire setting because they have an outdoor garden alongside their normal bar seating in order to create a different atmosphere. In fact the bar itself is on top of some greenery in one section, which really helps patrons feel at one with nature. This is something rather valuable when you live in a part of Manhattan that is almost all skyline and concrete. Remember that your outdoor furniture does not always have to be on a solid patio. Some of it can be on the grass or you might even have a side area near or in some trees. All of these can work with your setup to make it refreshing and perhaps even a little bit rustic. This is not your ordinary restaurant patio furniture. As we mentioned earlier they have some domes that are clear but hold warmth in on one section. These are quite expensive but you can buy them from Europe. If you have the money then you could look into them in order to create a similar space for yourself. 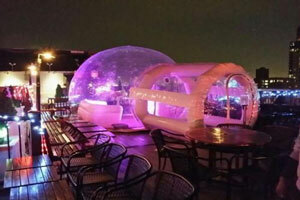 However you can achieve a similar effect by having a tent near your bar with some heating or cooling elements. Shelter is really what is important for comfort when you think about it in the most basic terms possible. Outdoor furniture is just part of the setting as the views from anywhere are also absolutely amazing. They have multiple ways to look out over the skyline and see what the city has to offer from a massive area up top. That being said the pieces of furniture are all overstated and extremely colorful. Vivid reds, deep purples with light undertones and impressive lighting are all major factors. Why is this? Because just seeing pieces around you looking lively can create energy for people in a big way. You can do the same with your own colors. If you want a raucous party then decorate for it. If you want a subdued affair then do that as well. We have mentioned this before but it is a basic you should not ignore. There are open-air areas as well but no matter the weather you can find a safe place to drink and gaze out on the city from. That is why they are one of the most famous bars in the world. Try to bring the same thing to your own establishment or home. We have discussed this a bit before but what level of class should you give your outdoor bar furniture? While only you can decide that we want to give you some serious food for thought on the matter. If you have never put any real thought into it before you should. You may be sending the wrong impression to the people you enjoy hanging out with by the impression you give them. Before making any choices you should first decide who your friends are. Look at your income level first, a good honest look. That might not always be fun but it is something you need to do. If you have some friends who are working class or lower middle then you are probably in the lowbrow category. This does not mean bad. Things like rocking chairs, basic lounges and other nice pieces are parts of this. There is nothing inherently wrong with it. Highbrow conversely is not necessarily right. Many of the parts of high design are somewhat wasteful. What matters is which one your guests and family are going to be comfortable with. If the lowbrow outdoor furniture style fits them then you want to look through normal big box stores. They often have pieces that look good at an affordable price which are not in with the wacky trends of high fashion. This could be anything from a leather bar stool to a smaller shelf for the outdoors. Even a minor canopy can be a good choice for this style as long as it is durable and has a solid color. If this is the type you are looking for you may want to go with a traditional party atmosphere with lively music and dancing. A traditional party still cannot be beat in the modern day, try as some people might. The highbrow style of outdoor furniture can be difficult to manage. This is because people in that area often have big expectations from their friends. Resentment can even be created if the decoration goes over or under what they want. The trends also change quite a bit as well. Look into what materials and styles are popular in 2014 for this. For example you could look at some articles on this very blog as we have discussed it a bit already. Even when setting things up with outside restaurant furniture you need to keep clients in mind. Drinks are another part of this as well. You want to bring a hardy ale to a low party and some fine wine to a high party. Ask your guests what they prefer as well because amusingly enough the varieties of each vary as widely as each other. Some of your people in both cases may prefer microbrewery portions as well. Others may want to have a very old beverage poured out for them, while some like the newer ones as they have a lighter flavor. In either case only you can tell what category the people you care about are in. Make your own choices on how to set everything up for them. We are sure they will appreciate your work with outdoor bar furniture. 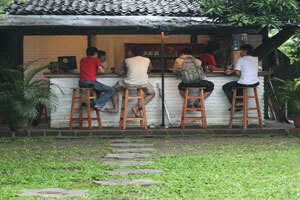 Today a new style of outdoor bar is becoming popular. A Juice bar which serves, well, juice. While the idea has been around the health industry has been seeing quite an upswing in recent years so these types of establishments have been as well. Whether it is a professional one with significant marketing or a few drinks in the backyard a bit of juice can go a long way into creating a really fun atmosphere for you. When first creating it you have to decide on the establishment. Modern styles, nature styles and even a Hawaiian look are all popular for something like this. Why? Because a juice bar is a relatively modern thing. While there have been a few here and there in the past during the really old days they just were not around. They were an extreme oddity that no one did. For most people life was so hard that turning to drink was a big part of actually getting through the day. It numbed the pain in their bodies and souls. Why would someone want to have any other type of bar? That all has changed along with the outdoor patio furniture that goes with it. Now we care more about our bodies than ever before. We worry about them and want them to be healthy. Non-alcoholic juice bars with eco-furniture styles are a big part of that as well. That being said you can create a juice bar that has the alcohol that your people want. Ask your friends what works for them in one way or another. Maybe they fancy a Bloody Mary as one of their drinks. If it works for them then feel free to go with it. You may have to pick some of your outdoor furniture pieces that fit better with a traditional bar atmosphere based on that though. This style is especially useful for kids and you might want to put some thought into using it. Even if the adults are having cool drinks they can still have a neat fruit mix. This makes sure that at a casual party those with children are not left out. You even might want to put in a special area with furniture just for them so that they can feel special in it. Parents will often appreciate the extra effort that you put in for them as well. Active guests may also enjoy the active atmosphere in the area. If you have a huge yard then you may want to get some outdoor furniture with benches on each side. You could even stage a workout meet some days at your house. Things like that are more than just for training your body. They are social hubs where the whole community can come together in order to talk and relax. If you have a juice bar there as well the experience is even better. It can make your home the place everyone in the area is talking about and make you very popular as well. In the end isn’t that what matters? The cocktail party has long been a big event for socialites. Of course in the modern day we have it much more commonly in our neighborhoods. So how do you set everything up for one with your outdoor furniture? There are quite a few pieces you can add in order to make everything better. When planning the theme you want to make sure that nothing is too serious. You want a light, whimsical and somewhat classy setting that people can relax in. 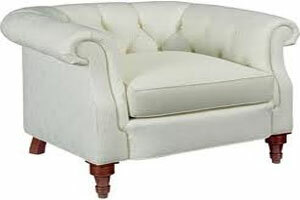 When choosing that you will want to go with classical, modern or overstated pieces. Why? 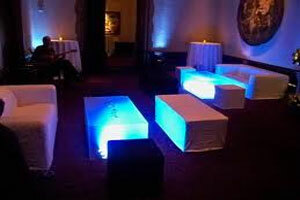 Because you will either be having a party atmosphere or a casual upper-class atmosphere for your own design. Those are the ones that create the style you need. Food is another thing to consider aside from your outdoor furniture itself. You may have a buffet table or a few small hors d’oeuvres. Usually at these affairs you do not want anything too heavy. Why? Because then it becomes a dinner party. While that is certainly another fun social event it does not have the theme or atmosphere that you would want. As you might imagine a bar might be the perfect addition. Of course setting one up can be quite expensive. If you have a long table or other suitably long and flat setting then you may be able to create a makeshift one for a few friends. Of course if you want to have a massive party you will need a real one and the associated shelving for the drinks themselves. Another question is whether to waterproof or not to waterproof. While it should not be your first consideration it is something to keep in mind if you want to have pieces which stay outside. Some of the more delicate pieces you have can also be wheeled in and out depending on the weather and the atmosphere of your party. One major point that people overlook is inviting noteworthy people. While it is unlikely that you can get a big celebrity like they do in Hollywood, you could have a local celebrity come by to enjoy your outdoor furniture setup. It is something to consider. Lighting is another important part to consider when choosing outdoor furniture. Will you be having a day or night party? Sunlight may be all you need, with a bit of shade for those who get too hot. Or you may have small dimmable lights that give a subtle look to your outdoor setting. It just depends on what you want out of your party. Music is something else to consider. You should have it be as lively or as toned down as you think the meeting warrants. Ask your friends what they would like to see out of it to get some ideas of how you should be setting everything up for a good time. After all the atmosphere is made mostly by how people act and feel when they get there. Make sure they feel great at your event. When you go to a ski resort you do not usually think of a bar, or spa. 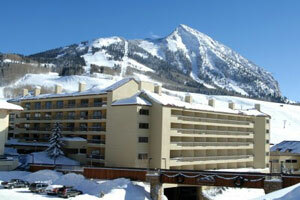 However the Elevation hotel and resort combines all those aspects into one. They even have an outdoor bar on the side of the mountain. We have certainly talked about establishments like this before but not one that combines so much stylish outdoor furniture with an interesting locale. There are many different things to learn from this setup as well. As you might expect it has a fire pit outside with a fully stocked bar and restaurant staff. Having access to food and drink right off the slope is a huge bonus for people. Adding those same things to your own home can be a great way to make sure everything is more fun. Guests love a good selection of drinks at the very least and it is something that you can offer them with a bit of work. Their hotel/spa features indoor fireplaces with LCD televisions. It allows guests to warm up in front of a warm fire in a warm bath. It really relaxes everyone and gives them an even better experience after their drinks. On that note you can apply the same thing to your own design. If it is unusually hot or cold for people in your normal client then you want to put the other extreme nearby. Have a cooling pool or even a fire pit of your own to heat people up. It adds a bit of excitement to your outdoor furniture and can really make your setting stand out. How would you apply these lessons to your own outdoor furniture design? First you should make sure that each of your pieces accents the overall theme. They have colors and designs that fit with the winter style in the area. Not everyone can have a spa but having a side area to warm up or cool down in is really great. This could be anything from a small area with a heater to an air conditioned sector outcropping on the house. There is no wrong way to add that on as long as it stands out and makes people notice a very small section of your home. Having games or other diversions on the side is also important. The skiing is a big reason people have such a good time. Even if you do not have anything quite that amusing to accentuate your outdoor furniture you should consider what variety you can add for people. It could be something as simple as a chessboard or Wi-Fi in your home that gives people another diversion for your setting. Natural beauty is the last piece of the puzzle. The rooms offer beautiful views of the surrounding mountain scenery that can be absolutely breathtaking. If you have the same natural scenery or just an exquisitely set up garden then make sure your furniture is set up so people can enjoy it. It can make your entire setting as beautiful as our previously mentioned example. In many small family restaurants and pubs around the world this style is becoming prevalent. What is even more amusing is that some places are even using it for their outdoor furniture style. You may want to use it for your own setting in order to draw more people in like so many other businesses in the modern day are currently doing. So what is a modern media bar in the first place? 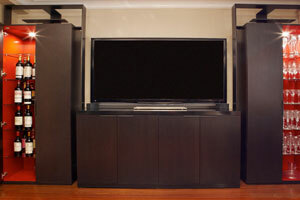 In most cases it is just a simple TV setting with speakers on one of the walls along with a few other add-ons. This could be anything from Wi-Fi or even a small computer station on the side so that people can check things out while relaxing with a drink. The interesting news is that outside restaurant furniture setups can become a part of this. There are many restaurants that include it in this way by using a few methods. The most expensive one is to get a weatherproof television in the same way that you got furniture that withstands bad conditions. These obviously are not commonly made and can cost you quite a bit more. Another way to handle it is to get a protective screen or enclosure for your piece. This is much more affordable but make sure that whoever installs it does a good job and tests everything before a storm blows in. You really do not want to find out that someone didn’t do a great job for you later on. If you have the money for this setting it is incredibly useful for restaurants. As we mentioned earlier there are many places like this with outdoor fire pits and televisions. There is something just plain charming about a setting like this on a warm summer day. Of course that assumes you have the climate for it. It is not as useful in certain parts of the globe at first. The downsides to this style are that it is quite a bit more expensive and may give you a lot more work to do than other styles which you can choose. In many cases though more effort comes with more reward in the long run. It is up to you whether the risk is worth the reward in the long run. If you decide to go with this style of outdoor furniture then tell us about it later on. We want to hear your own stories on the subject as well. Other than the obvious introduction of technology you can use the same principles with your outdoor furniture here as with anywhere else. Wooden bars work, stools with nice fabric work. There is no set theme in that area. You could even combine a tiki bar with technology in order to create a really unique setting that no one would see coming. If that works for you then you should try it out for yourself. If it works for you then tell us about it. We like to hear from those we are helping. The richest among us love to have outdoor furniture set on a boat. However there are also restaurants that take advantage of venues like this. 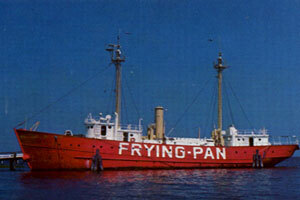 The Frying Pan is a location that hosts parties for those who want a very different experience than they are used to. Many things can be learned from looking at this example in particular. The Frying Pan is a bar where you can enjoy many drinks on the dock while looking out over the waterfront. Many customers buy a bucket of beer while playing a card game. They also charge a premium for other events with the view as well. All of this adds up to big money for the people running it as the beauty of the outdoor view lets them move their priced up above the norm. If you run your own establishment this is something to keep in mind. For those looking for home outdoor furniture there are lessons to be learned as well. You need comfortable seating and spacious tables to accommodate both drinks and tabletop games for people. While many people may look down on gatherings like this the truth is that they can be great fun. Capturing that same element of fun is something that any good host or hostess is looking for from their own event. The ship is also a real decommissioned ship with everything that entails. That means at times it rocks on especially large waves which gives it a unique feeling all its own. As such it needs some very secure outdoor patio furniture on the deck near the top. This teaches us two lessons, even if you have an unusual location for your design security and stability matters. Do not be afraid to push the envelope and decorate where people would not normally expect you to. Sometimes standing out can improve your entire setting. For those with some extra money you may want to create the same atmosphere on a house boat. Special outdoor furniture that is quite a bit heavier than normal and has weatherproof materials can be used to create this in your own way. Of course in the same way your friends will have to deal with the waves and motion, but for some that is part of the fun of such an event as well. Part of the charm is the spacious area that adds to the variety of the setting. Guests can wander through the various decommissioned rooms while relaxing with a brew. Exploring new areas with interesting people has a special appeal to itself. If you have a spacious outdoor area or even garden you could bring that same atmosphere to your own party. Some people even have a massive area of land to go over as well. Music is another big part of this bar with speakers all over for people to enjoy the party with. Bring the same atmosphere to your own unconventional party and it will improve the overall atmosphere brought by your outdoor furniture pieces.